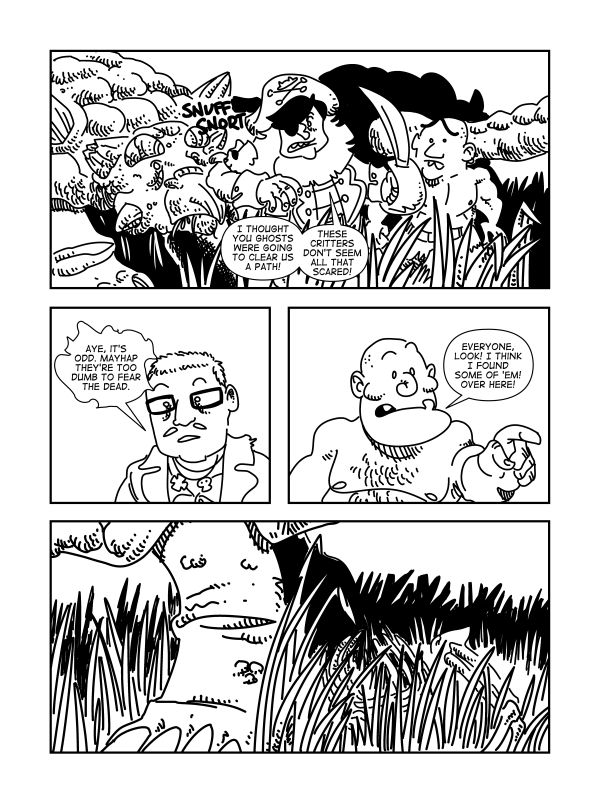 Repugnantes Revisited, Page 11 – Catbeard the Pirate! I can’t tell you how tempted I was to have the ankylosaurs say “moo” as their vocalization. Just two weeks until Lilac City Comicon! May 30 at the Spokane Convention Center. I’ll be at table D-03 with Catbeard books, shirts, and original artwork. Maybe even a surprise or two! Please come and say hi if you’re in the area; it should be a great time for all!